The UMass website has a spring camp video featuring new DC Tom Messella. It has comments from a number of players on the change to a 3-4 defense. Messalla praises Stanley Andre, Kessan Messiah and corners Randall Jette and Trey-Dudley Giles. Coach Whipple's Twitter feed talks about the first team scrimmage this weekend as well as recruits visiting for Junior Day. Dan Malone has a feature on the return of Marken Michel. Interesting, some of the UMass players kept in touch with Michel while he was away and Coach Whipple knew him from his Miami days. Marken's 31-260 stats would have put him 3rd last year in receiving totals. Malone's article has Coach Whipple praising Marken's speed along with Penn State transfer Alex Kenney. The Minutemen could certainly use more deep threats. Last year TE Rob Blanchflower had the team's only reception over 50 yards. The UMass Daily Collegian reports on UMass QB A.J.Doyle's adjusting to the new offensive system. James Ihedigbo is already working out with new teammate Glover Quinn. Matty Vautour report future UMass QB Blake Frohapfel is learning the UMass offense from long distance. He also reports that expansion isn't on the AAC's agenda right now. Note that in sports nothing is happening until it happens. See the MAC and Temple and dozens of other examples. Dan Malone reports UMass players are focused on the present. He also has Lorenzo Woodley is feeling good about the new offense. 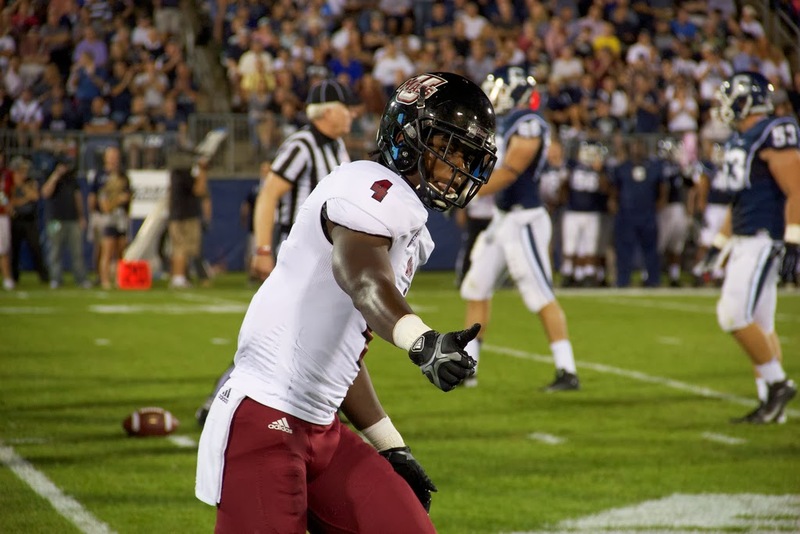 The UMass Daily Collegian says the Minutemen players are embracing the change. The Detroit Free Press says James Ihedigbo's contract is far from exorbitant. SB Nation says college football recruiting rankings are getting better. 2014 OOC opponent Penn State is also breaking in a new system. The Athletic Dept. website has video from UMass' Pro Day. Ron Chimelis thinks UMass' response to the MAC exit rings hollow. Coach Whipple and the team are a lot more upbeat. Matty's article has some quotes from Lorenzo Woodley. Whipple's offense is a good one for running backs. The offensive backfield should be a happy place in 2014. Whipple also said he didn't expect the change to affect recruiting. Jimmy Kelly of "Hustle Belt" takes a look at what leaving the MAC means for UMass. Maryland's Randy Edsell want to restrict recruiting to high school seniors. The Wall Street Journal says the impact of a recent court decision allowing players to unionize is unclear. The Lions signed James Ihedigbo to a $3.1 million two year deal. Victor Cruz had a "light-weight" beef with rapper jay Z prior to his signing with Roc Nation. Victor said jay Z's people failed to get in touch with his people. OK. First off, this one is on the MAC. UMass would not have considered going FBS two years ago without a league offer. The MAC wanted to keep Temple and so they made the offer to UMass. Second the MAC did not have to invoke the all-sports clause. They knew that would not be acceptable to us. Everyone knows I love UMass football. But leaving the MAC was the right thing for UMass and the athletic dept. There is no way UMass should be in MAC for basketball. I think UMass is committed to FBS football. I don't think coach Whipple would have signed on without that commitment. See this quote from the AD " McCutcheon said, "We remain committed to FBS football. Many institutions have successfully navigated this challenging period of conference realignment and we will do the same." UMass obviously wanted to move to a different conference sometime. It would appear that McCutcheon thinks we have options. Where does that leave UMass? We need to have Coach Whipple get us winning. We have two years to look for another conference. Conference USA with old foe Old Dominion is an option. So is the Sunbelt conference with old foes Appalachian State and Georgia State. The AAC would be even better. We'd be back with UConn and Temple.That would be an attractive hoops league too. Tulsa, a small religious school with 3,000 undergrads joined the AAC. If they did it, we can. Matty V. Says UMass made the right call. Note that I wrote the above before reading Matty's article. Hustle Belt asks "What does this mean for the MAC?" From Coach Whipple's Twitter feed :" No matter what conference we join, UMass Football is committed to building champions The future has begun! UPDATE: I'll have some commentary up tomorrow morning. Leaving the MAC is another challenge, but it's also opportunity. The MAC went 0-5 in Bowl games. EMU basketball drew 373 fans for a CIT Tourney game. UMass went 1-11 and still was in the middle of the league in football attendance. Let's improve the next two years and find a new home that wants us. Go UMass! Multiple news sources report UMass will leave the MAC in two years. Wow. Forcing UMass to join the conference in all sports must have been intended to force UMass out. The league had to know the Athletic Dept would never agree to to that stipulation. Several recruiting services report UMass has offered to Mehdi El-Attrach, a 6-0 190 pound Athlete from Orlando, FL. This article from Scout.com features El-Attrach. ESPN has some performance stats. Besides UMass, El-Attrach has offers from Duke, FIU, Memphis, South Alabama, Southern Mississippi and Western Kentucky. Dan Malone reports on the UMass Pro Day and says Rob Blanchflower was again forced to sit it out. The UMass Daily Collegian has a story from Pro Day including some of the bench press totals. RotoWorld has some info on Blanchflower. James Ihedigbo's former coach says the Lions got a gem. Bleacher Report has contract details. MLive says Ihedigbo could be the perfect fit. An even bigger NCAA power grab is likely for the five "power" conferences in the new proposed governing council. CBS Sports radio has a story about Buffalo's Khalil Mack, who could be the MAC conference's second first round NFL draft pick in a row. Idaho football, who's total budget is 40% of Lou Sabin's salary, isn't about to quit. Will McKaney, the Navy player who collapsed during spring practice has died. 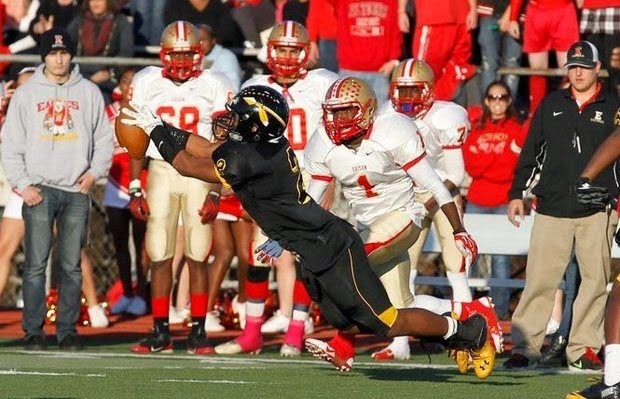 NJ.com reports UMass is recruiting Elijah Barnwell, a 5-11 190 pound RB/LB from Piscataway, NJ. This article from NJ.com features Barnwell. Hudl.com has stats and video. Barnwell just received an offer from Rutgers. He's receiving interest from Boston College, Pitt, Penn State, Maryland, Syracuse, UConn, UMass and Old Dominion. UMass will hold it's Pro Day today. The event is not open to the public. Let's hope Rob Blanchflower is completely healthy and is able to show the scouts what he can do. Coach Whipple's twitter feed has some mentions of it. Matty V. has a story about Blanchflower. Dan Malone has an article on A.J. Doyle's quest to show his skills to the new coaching staff. The Patriots are upgrading the field surface at Gillette. If you're a UMass alum or fan with high blood pressure I advise you not to follow this link to a Sun-Chronicle sports person's explanation on why they did not cover the Minutemen's bid to the NCAA playoffs. Marshall is trying to develop a replacement for Blake Frohnapfel. James Ihedigbo tweets he's a lion. Bleacher Report has a story on the life of a graduate assistant football coach. An Illinois state senator thinks the Big Ten should expand some more. His suggestion---- Southern Illinois? 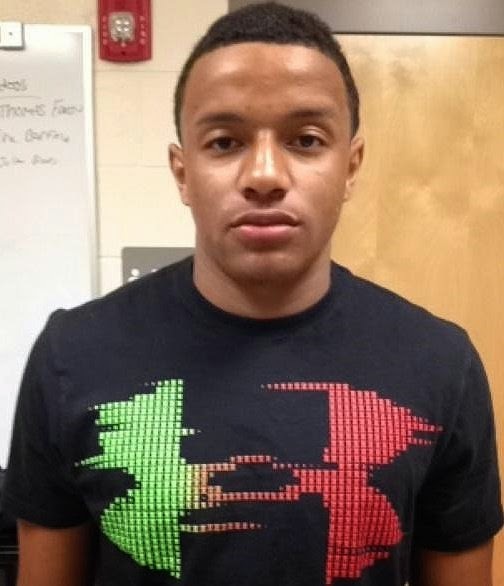 Several recruiting services report UMass has offered to Nhyre Quinerly, a 5-11 180 pound CB from Norfolk, VA. This article talks about Quinerly and his dad. Besides UMass, Quinerly holds offers from Wisconsin, JMU and Penn State. I've blogged about C.J. Stalker, a 6-2 210 pound LB from West Chester, OH before. This link updates his recruiting. Besides UMass, Stalker holds offers from Bowling Green in the MAC as well as Cincinnati, Kentucky, West Virginia and Virginia. A Vikings blog says Minnesota will sign Vladimir Ducasse to a free agent contract. Ducasse also visited the Bengals. The Boston College blog "BC Interruption" says the UMass-Eagles game at Gillette will be essentially a BC home game. In 1982 Penn State applied to join Big East football. They were denied by a single vote. Had Nittany Lions been allowed to join, we'd probably be looking at much different football landscape in the Northeast. New Penn State HC James Franklin is trying to develop a relationship with his players. OOC opponent Vanderbilt just had their Pro Day. A freshman Navy RB is in a coma after collapsing at a spring practice session. Several recruiting services report UMass has just offered to Chandler Jones, a 6-4 310 pound DT/OL from McEachern HS in Georgia. Besides UMass, Jones holds offers from Cincinnati, Georgia State, Marshall, Middle Tennessee State and North Carolina State. 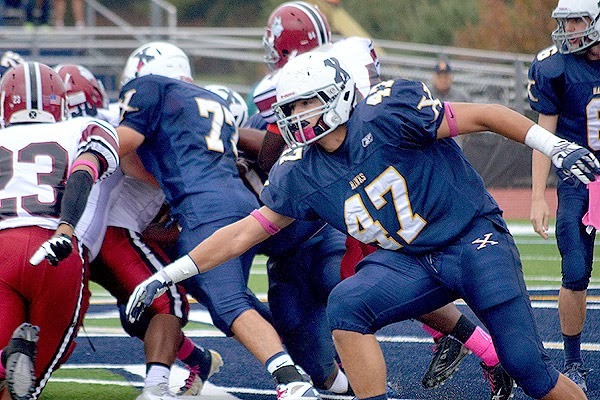 I've blogged about Joe Gaziano, a 6-3, 230 pound DE from Xavierian Brothers in MA before. This article from Scout.com updates his recruiting. UMass is still recruiting him hard. Gaziano has offers from UMass, BC and Northwestern. Several recruiting services report UMass has offered to Chris Hart, a 6-3 225 pound OLB from St.Thomas Aquinas HS in Fort Lauderdale, FL. Miami Herald Broward County 2015 preseason Top-25 player. From a March 4th article on Scout.com:"Tipping the scales at 6-foot-3, 225-pounds, Hart is a hybrid linebacker that has the ability to put his hand in the dirt at defensive end, or stand up and provide pressure on the quarterback from the outside linebacker position." Besides UMass, Hart has eleven other offers including Bowling Green and Western Michigan from the MAC. James Ihedigbo to the Lions? Not so fast. Yesterday I blogged about Lucas Denis verbaling to Boston College. ESPN Boston talks about the Everett-to-BC connection. Widener Football picks former UMass coach Brian Piccucci as offensive coordinator and offensive line coach. Football Scoop (Thursday) reports former UMass coach Guido Falbo will join the Cornell staff as running backs coach. Ball State's football coach Pete Lembo gets a raise and a new title. Hustle Belt says that makes Lembo the second highest paid coach in the MAC. Twenty-nine FBS schools made the post season in both basketball and football. 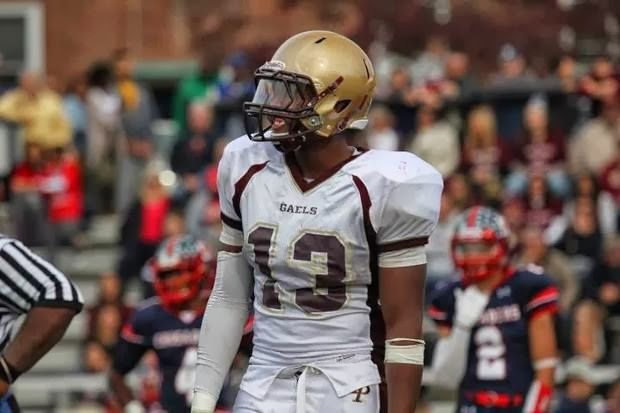 Two Massachusetts recruits recently verbaled to Boston College. Lucas Denis, a 5-11 170 pound DB from Everett, MA committed to the Eagles. 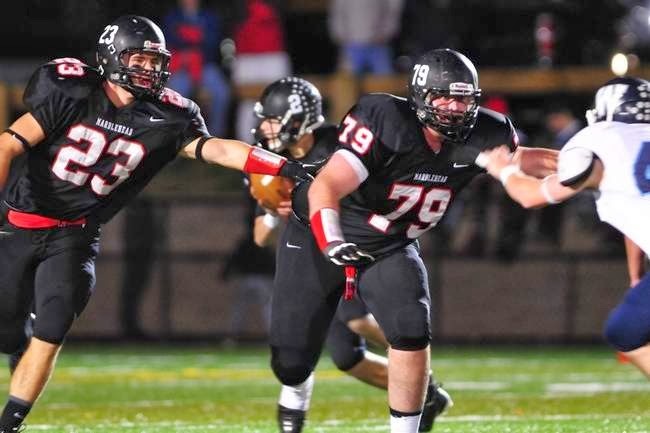 This last weekend Chris Lindstrom, a 6-5 240 pound OL from Dudley, MA also verbaled to BC. 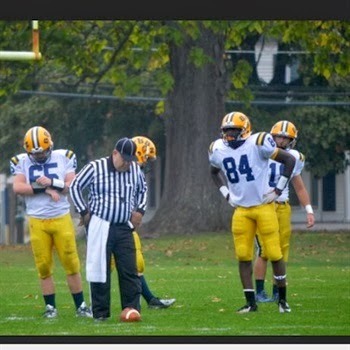 Denis had a UMass offer and attended a Junior Day at Amherst. The Minutemen had yet to offer to Lindstrom. Boston College blog "Soaring to Glory" comments. Former conference mate Rhode Island's new coach Jim Fleming has extensive experience in the MAC. Baylor (and former UMass AD) Ian McGaw takes flack for scheduling FCS teams. Central Michigan starts spring practice. BCS OOC opponent Vanderbilt also opens spring ball. Penn State football gets to work. Several recruiting services report UMass has offered to Danny Thomas, a 6-2 220 pound DE from Ft. Lauderdale, FL. Besides UMass, Thomas has offers from eleven other schools including Akron, Western Michigan and Miami (Ohio) from the MAC. The Tampa Bay Bucs have signed Jeremy Cain to a contract. Article from the Bucs website here. 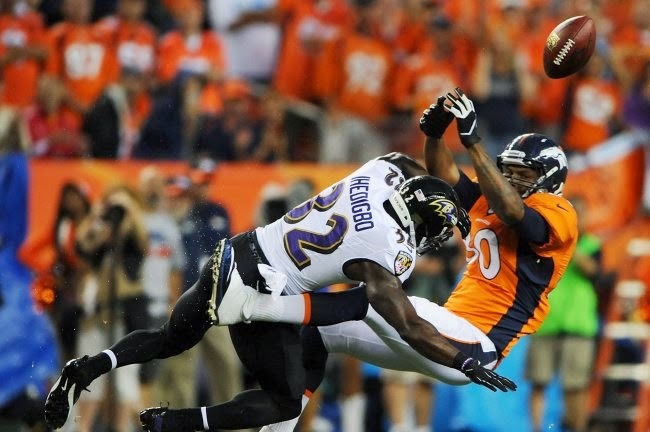 The Ravens re-signed Jeromy Miles to a one year contract. Everybody is wondering how Northern Illinois will do without Jordan Lynch. A Bleacher Report writer comments on the most important player for each FBS team including UMass. 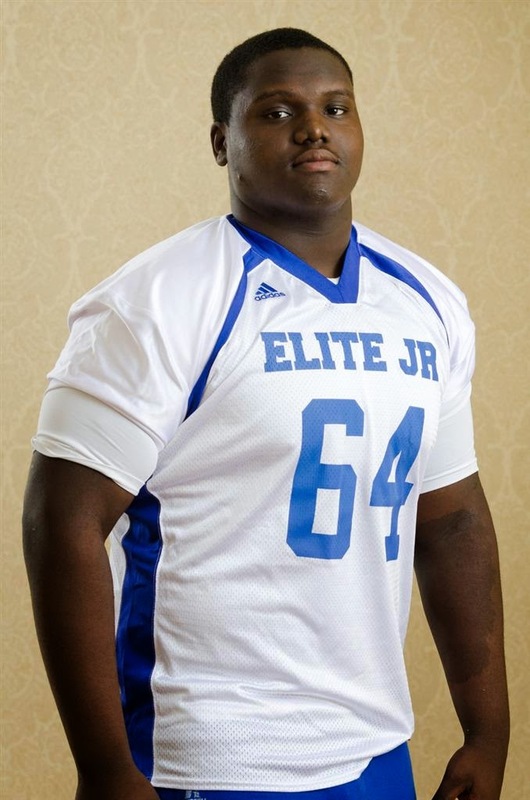 NJ.com reports that Justin Hogan, a 6-2 220 pound LB from Wayne Hills, NJ has visited UMass. Hudl.com has some stats and highlights. Besides UMass, Hogan is drawing interest from Temple, Rutgers and Miami. The NIU Huskies open their spring practice today. NIU returns 16 starters from a team that has won 24 games in two years. In this year's schedule rotation, UMass drops NIU (12-2), Central Michigan (6-6), Ohio (7-6), Western Michigan (1-11) and gains Ball State (10-3), Toledo (7-5), Kent State (4-8) and Eastern Michigan (2-10). That's a somewhat tougher league schedule than last year. Toledo has been consistently one of the top MAC teams. Kent State had a big fall off last year as they had a 11-3 record in 2012. Toledo went 9-4 in 2012. UMass also swaps Colorado for Maine in the OOC schedule. A Bleacher Report writer imagines a 64 team college football tourney. A sports writer says an early signing period changes the calculus of college football recruiting. Victor Cruz takes a busload of elementary students to the Rachel Ray show. 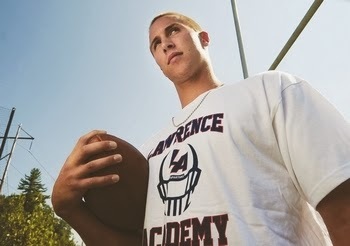 Scout.com reports UMass wants Austrian Robinson, a 6-4 265 pound DE from Trinity-Pawling HS in NY to visit Amherst. Being recruited for Maryland by ex-UMass coach Keith Dudzinski. This article (about 3/4 of the way down) updates his recruiting. Robinson holds offers from Elon in FCS as well as Temple and Maryland. SB Nation has UMass as #125. CBS Sports has the Minutemen at #124. A Bleacher Report writer lists the top position battle for every FBS teams including UMass. Phip Steele has the NCAA's method of ranking 2014 football schedule difficulty. Pride of Detroit says the Lions will sign James Ihedigbo. Victor Cruz teams up with the White House to sell Obamacare. Science News says ACL tears are not the end for college football players. Scout.com reports UMass has offered to Nyck Grayson, a 6-3 210 pound LB from Nordonia HS in Ohio. This article says Minutemen coaches met with Grayson in Ohio and he will visit UMass in early April. Besides UMass, Grayson has an offer from James Madison. Drawing interest from several MAC schools. Scout.com reports UMass has offered to Aidan Howard, a 6-5 175 pound WR from Gateway HS in PA.
247Sports.com page here with some stats. 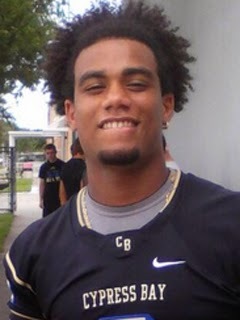 Currently, UMass is Howard's only offer, but many BCS level teams are interested in him. 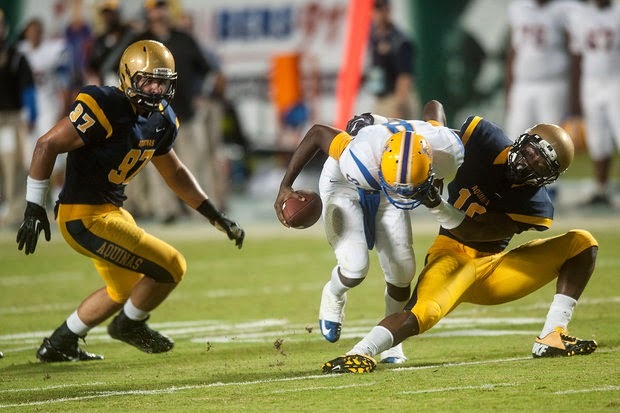 UPDATE: The Orlando Sentinel has a mention of Mayes at a regional quarterback competition. 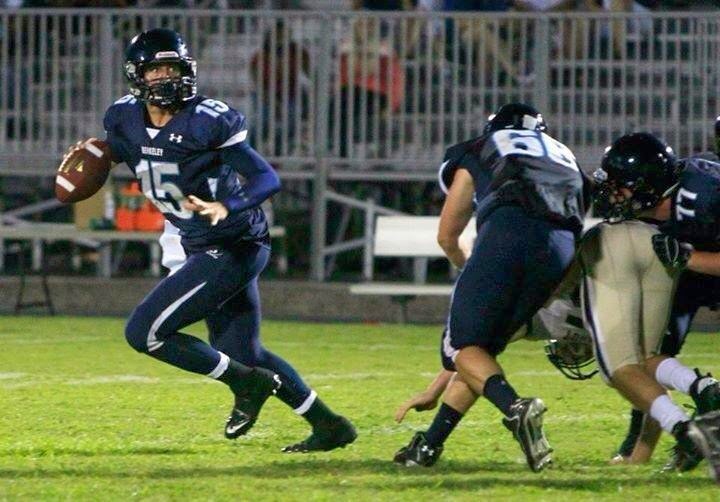 Scout.com reports in this article UMass still has an offer to Brad Mayes, a 6-2 195 pound Pro-style QB from Tampa, FL. The Minutemen have been recruiting Mayes since he was a sophomore. I've blogged about him twice before. Mayes is a 247Sports three-star QB. Mayes talks about recruiting in this article. UMass QB recruit Ross Comis is the co-subject of this YouTube interview by Mike Mathison, the sports editor of the Steubenville Herald-Star. Mathison comments in a column on 6-1 quarterbacks. MLive.com reports James Ihedigbo expects to sign with the Lions. A College Football Report Writer on what fans should look for in spring practice. A University of Maine football player has been arrested in conjunction with a fatal stabbing incident. There's a crowded quarterback field for Boston College's spring practice. There's a new head coach at UConn too. 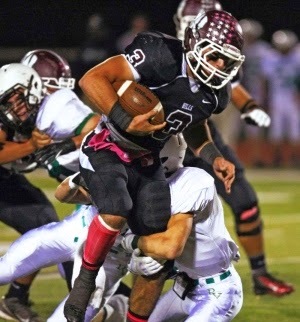 From a January 19th Scout.com article: "Last season as a junior Sotolongo recorded 65 tackles and four interceptions. He returned three of those picks for touchdowns. Hudl.com has physical stats and video highlights. Besides UMass, Sotolongo has offers from Duke, Arkansas, Oregon State, Purdue, Tulane, Cincinati and UCF. Very interesting video from the UMass web site focusing on Coach Liam Coen and the the three QB in camp. Freshman Andrew Verboys appeared to be wearing #18, which was worn by Matt Quinn last year. Dan Malone comments on the video and Liam Coen's demeanour as a coach. Re-read Matty V's article from February about Coen returning to UMass. The Baltimore Sun says James Ihedigbo is visiting the Detriot Lions today. Bleacher Report looks at the unstable life of a college football assistant coach. Boston College held its Pro-Day yesterday. The Shreveport Times says an early signing period for college football recruiting is looking more likely. 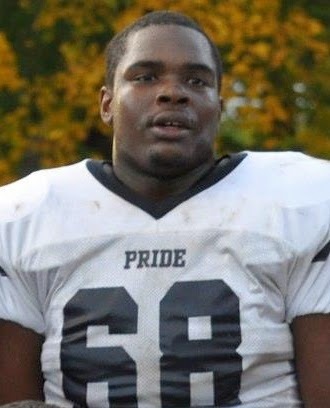 NJ.com reports UMass has offered to Qaadir Sheppard, a 6-3 229 pound LB from New Rochelle, NY. Sheppard holds an offer from Rutgers. Boston College, Maryland and Old Dominion are interested. 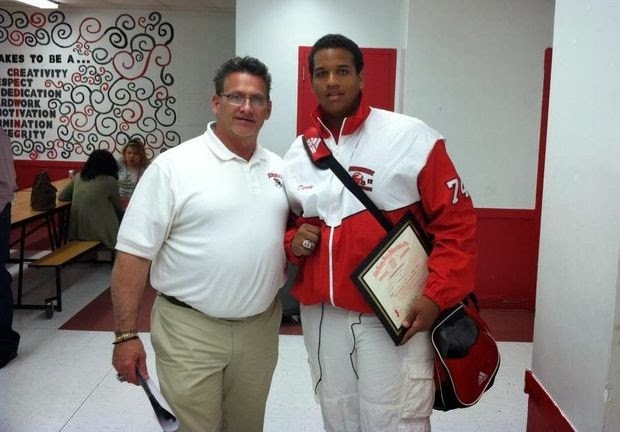 I've blogged before about Daniel Clifford, a 6-4 320 pound OL from Hoboken, NJ. 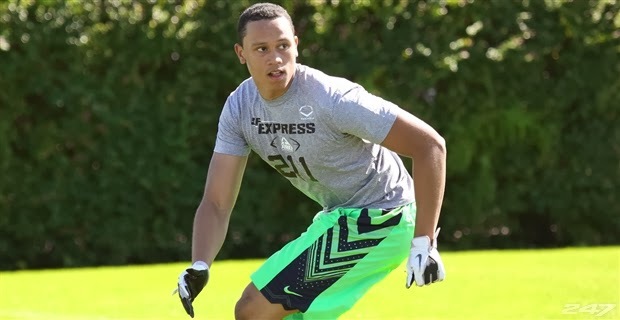 This article updates his recruiting including an offer from Iowa State. Ed Saint-Vil gets some quotes in this Collegian article on Athlete Ally. Former UMass HC Kevin Morris has been named OC for Monmouth. AJC.com looks how the proposed early signing period for college football would impact recruiting. Athlon Sports ranks the FBS HC jobs in order of desirability and concludes UMass is #125 of 128. Boston College ranks 60th and UConn 76th. OT, but CBS Sports says the A10 needs a superstar program to get national attention. Dan Malone reports on the first day of the Minutemen's Spring practice. Dan also has an excellent, detailed article on news from the first practice. There is also a video report from the first practice. Lots of stuff to talk about from Dan's report. Let's start with some of the personnel changes. If you don't remember, Whipple's offense is a Pro-set "heavy" meaning it uses a fullback. Dan reports that Daquan Mack (6-1 255) was working at the fullback position in the practice. Fullbacks in Whipple's offense rarely ran with the ball, but frequently caught the ball out of the backfield. Also it looks like UMass' traditional colors have made a comeback. Former UMass offensive line coach Dave Johnson helped the Ohio Bobcats break in their new indoor practice center. Football Scoop reports Chris Malone, a former UMass coach under Mark Whipple has been hired at Tennessee- Chattanooga. Malone's bio here. Sports Illustrated looks at what it would take for one of the teams from the mid-major programs to make the four-game NCAA playoffs. How good an athlete is Victor Cruz? Watch this video. James Ihedigbo is listed in this review of top AFC North free agents. Several recruiting services say UMass has offered to Dontae Strickland, a 5-11 180 pound Athlete from South Brunswick, NJ. Strickland also holds offers from Wake Forrest, Georgia Tech, Rutgers, Virginia, Temple and West Virginia. Coach Whipple doesn't want UMass players feeling comfortable. Coach Whip's Twitter feed has an interview with Coach after the first practice, but I'm not getting any audio. The Boston Globe says the "Blarney Blowout" didn't help any aspect of UMass, including the effort to upgrade our football program. Indeed, last year the training video and Professor Page really put a crimp in to UMass' in-state recruiting. UMass doesn't need any more bad publicity. Former UMass star Jeromy Miles marries his college sweetheart. A Cal blog comments on the Golden Bears coaching staff including ex-UMass secondary coach Greg Burns. Phil Steele bases his recruiting rankings base on the number of VHT's (very highly touted) and HT's (highly touted) and then ranks them by percentage of recruiting class. The system basically ignores the HT's, so UMass with 1 VHT and 1 HT recruit is ranked higher than say Wake Forest who had 0 VHT's, but 17 HT players. This year 102 underclassmen will leave college for the NFL Draft ; the Milwaukee Journal says that's not a good thing. Matty V. says UMass is set to open its first practice under Coach Whipple. Rob Blanchflower gets a mention in this NFL draft article. This Philly.com article says Emil Igwenagu will have to play his way on to the Eagles for the third consecutive season. Hustle Belt's Bryan Vance wonder what kind of program would the three directional Michigan schools in the MAC would have if they combined their resources. Jordan Lynch took part in DB drills at NIU's Pro Day. Lynch and NIU's Jimmie Ward drew a crowd at the Pro Day. This article mentions UMass recruit Jarell Addo. And now---- QB helmet cams. Someday I'll watch a UMass hockey game on TV and the Minutemen will win. ESPN Boston reports UMass has offered to Gerry Nvule, a 6-3 225 pound DE/TE from Cambridge, MA. Nvule also has an offer from Holy Cross. The above image is from Coach Whipple's Twitter feed. Click on the image and Blogger displays a larger view. Hopefully, there's a lot more than 11.7 points per game in that playbook. Two former UMass stars are on this years College Football Hall-of-Fame ballot. Rene Ingoglia, Massachusetts-Running Back-Finished career ranked second all-time in FCS history in TDs (54) and as school’s all-time leader in rushing (4,624) and carries (905) among others ... First UMass player to average more than 100 ypg rushing in career. Steve Schubert, Massachusetts-Wide Receiver-Named First Team All-America in 1972 ... Averaged 81.9 yards receiving per game in 1972, which ranks fourth on the school record list ... Holds school record for average yards per catch in a season in with 20.1 in 1972. Bryan Vance of Hustle Belt updates the MAC's Spring Practice schedule. SB Nation reports the NCAA has modified the targeting rule. Herd Haven looks back at Marshall's 2011 recruiting class including UMass transfer Blake Frohnapfel. Colorado Coach Mike MacIntyre sees a more productive spring for the Buffs. "In the FCS Huddle" previews the CAA's spring outlook. 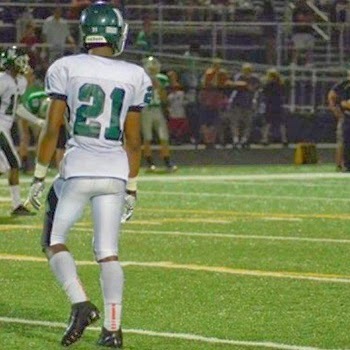 ESPN Boston reports UMass has offered to Lukas Denis, a 5-11 170 pound DB from Everett, MA. Hudl.com has some performance stats. Former UMass coach and player Bill Durkin has been hired at Costal Carolina. The Orlando Sentinel looks at five MAC games to watch in 2014. UMass at Miami is one of them. A MAC helmet schedule is available here. NIU football will hold their Pro Day tomorrow. Husky QB Jordan Lynch struggled in Northern Illinois' bowl game and again in East-West Shrine game. He needs a good showing to be drafted. Ball State looks to replace star QB Keith Wenning. Colorado, one of four BCS opponents UMass faces this year has been struggling with inconsistent QB play. Lancaster Online says Penn State's brand is one of the most valuable in college football. The BC Blog "BC Interruption" reports five Eagles' players have left the team. The NCAA rules committee tabled the proposed slowdown rule. Yesterday I posted a link to an ESPN article stating UMass has offered to Joe Gaziano, a 6-4 240 pound DE/TE from Xaverian Brothers in Westwood, MA. Gaziano was ESPN's Boston Defensive Player-of-the-Year. In this article from October 2013, the Boston Herald says Gaziano can do it all. He also holds an offer from Boston College. 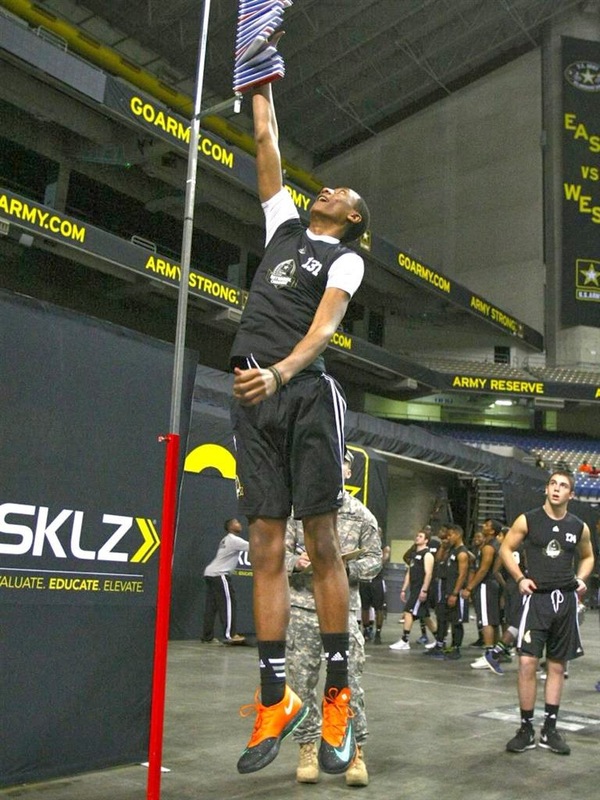 This article mentions Norvel Stewart, a 6-2 220 pound WR UMass recruit. I've blogged about Stewart before. Hustle Belt's Bryan Vance has the MAC's Pro-Day schedule. Buffalo started the league's Pro-Days Monday (warning- headache inducing graphics). All 32 NFL teams showed up to see Khalil Mack work out. 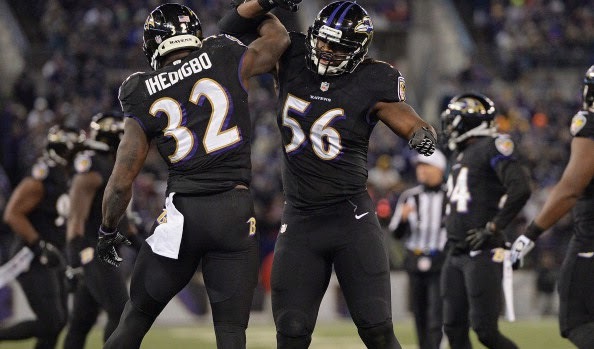 Comcast Sports Net Baltimore says the Ravens are unlikely to re-sign James Ihedigbo. Victor Cruz thinks he could run the ball. Football Scoop has the hottest college football program in the nation. Hint-- They'll be playing at McGuirk on November 12th. The Minutemen are the first to offer to Dumais. 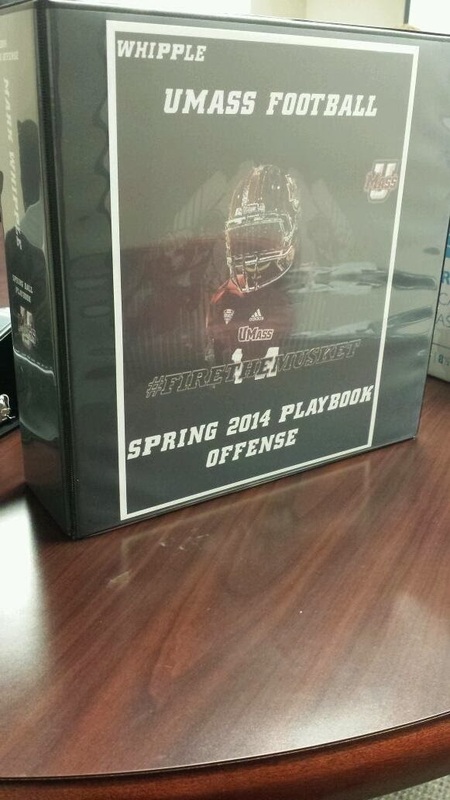 Dan Malone has his UMass Athletics notebook with the standard info on the 2014 schedule. The MAC Blog "Hustle Belt" has a fan post predicting UMass will jump to 4th in the MAC East. 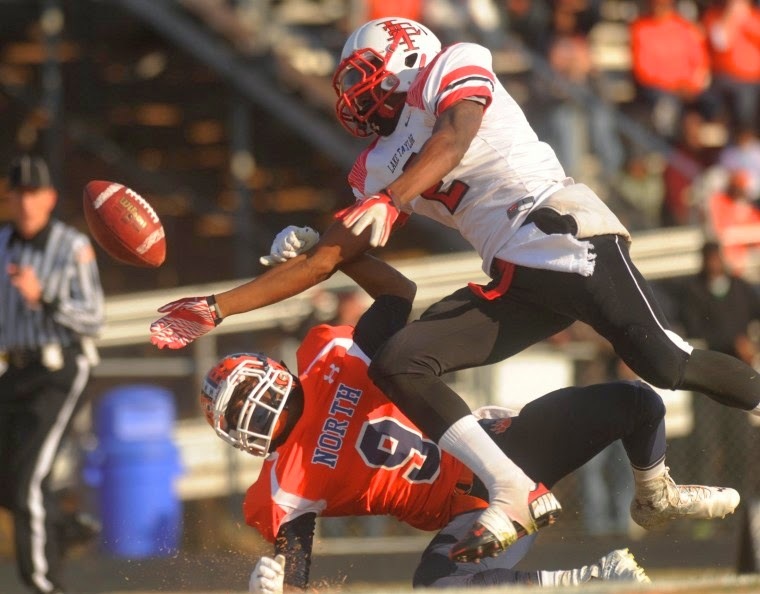 Rutgers has new recruiting tool, a custom Rutgers football app. When Bowling Green visits McGuirk 09/27/14, the Falcons will be the first FBS team to visit Amherst since Ball State on Sept 1, 1984 (UMass won 26-10). The Bowling Green News previews the 2014 football team. The MAC Report online says the Falcons are upbeat about uptempo. Colorado, our second BCS OOC opponent in 2014, is aiming higher. Athlon Sports ranks the BCS teams 2014 rosters: Penn State 27th, Vanderbilt 45th, Boston College 59th and Colorado 65th. Several recruiting services say UMass has offered to Chris Garrison, a 6-3 215 pound WR/OLB/SS from Lawrence Academy in Groton, MA. Visited Boston College on 2/16 for Junior Day. Garrison has offers from UMass, UConn, Boston College and UNH. 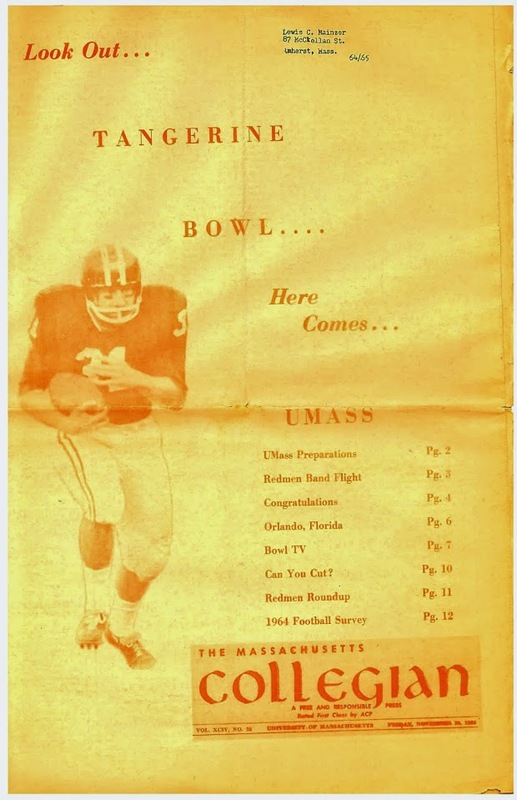 Matty V. has an article on the 2014 UMass schedule; he adds some details such as Band Day will be October 18th at Gillette. The Star-Press explains how the Cardinals ended up with two FCS games. Buffalo is another MAC team who will pad their schedule with Duquesne, Army and Norfolk State. The LA Times says the proposed slow down rule won't see the light of day. Lost Lettermen has some over-the-top uniform designs. The 2014 UMass schedule is up! Excellent home games for both Gillette and McGuirk. The MAC website has the complete MAC schedule. Two of the UMass home games will be televised on ESPNU/ESPN2: Ball State and Buffalo.The away game at Akron will also be on ESPNU/ESPN2. Matty V. has a story about the schedule here. Matt Daley analyses the 2014 MAC schedule. 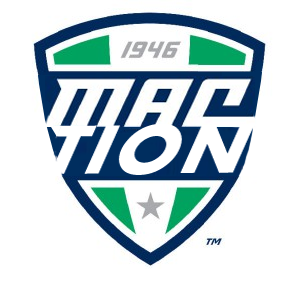 The MAC Report Online looks at the MAC's OOC schedule. FanIQ predicts which MAC teams will go bowling in 2014.